Western Reserve Land Conservancy, which launched its Thriving Communities Institute program to address the foreclosure crisis, is applauding a bill introduced by area congressional representatives to establish a bond program to fund demolition of vacant, abandoned and tax-foreclosed homes. 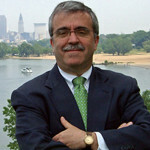 Land Conservancy President and CEO Rich Cochran and Thriving Communities Institute Director Jim Rokakis, a national expert on the foreclosure crisis, praised U.S. Reps. David Joyce, Marcy Kaptur and Marcia Fudge for introducing the Restore Our Neighborhoods Act, which would authorize up to $4 billion in new bond allocation for states to help fund demolition. The bill would authorize the sale of tax credit bonds – essentially interest-free loans – to states, which will have the discretion to issue the bonds or allow land banks to issue them. 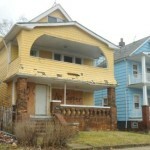 Proceeds from the sale of the bonds would fund demolition of vacant and abandoned homes. On Wednesday, Cochran was one of the speakers at a Cleveland press conference announcing the introduction of the bill. 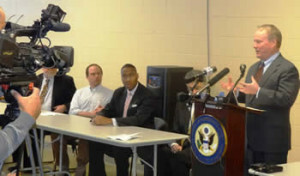 In Flint, Mich., Rokakis said, the community invested $3.5 million in bonds and preserved $112 million in property value. He said the proposed bond program would help demolish blighted structures across the nation and help stabilize local real estate markets. 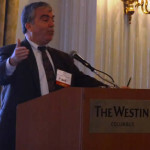 Rokakis said there are more than 100,000 homes in Ohio in need of demolition, and that the presence of abandoned houses in a neighborhood makes neighbors more likely to abandon their own homes, creating a downward spiral of foreclosure. 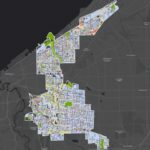 Western Reserve Land Conservancy, which permanently protects natural lands, working farmlands, urban lands and coastal lands in northern Ohio, has preserved a total of 474 properties and 34,441 acres in the region. The Land Conservancy is headquartered in Moreland Hills and has field offices in Cleveland, Akron, Oberlin, Medina, Orwell, Painesville, Lisbon and Orrville. The Land Conservancy’s Thriving Communities Institute was established in March 2011 in response to the foreclosure crisis that devastated many of our neighborhoods. Thriving Communities has helped form 15 county land banks throughout Ohio and works with community leaders to revitalize neighborhoods.